In the essay by Erasmus of Rotterdam, Folly has a voice, and focuses on the debate on the conception of human nature that, from classical culture to the Renaissance, unfolds in the coincidence of opposites, or the dialectics of wisdom and folly. 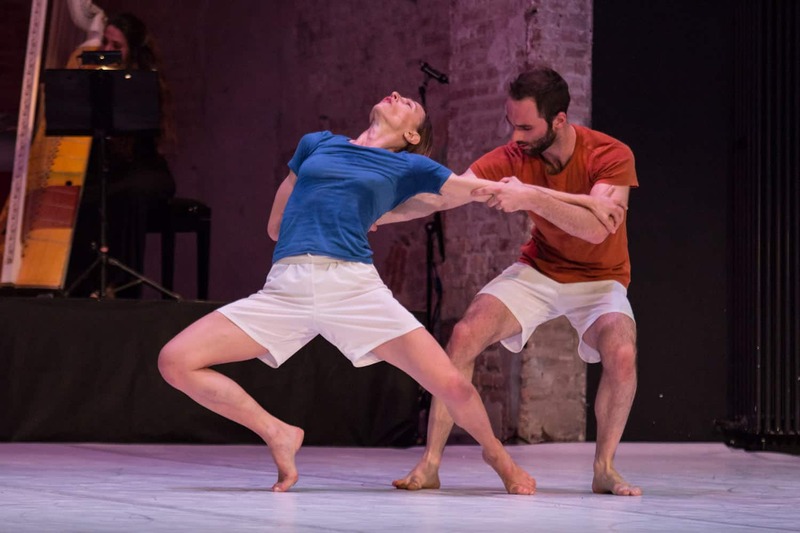 Now the choreographic writing of Simona Bertozzi delivers to the dialogue between bodies the opportunity to rewrite this combination and to variously rename the terms of the comparison as persistence and fragility, rigour and transfiguration, linearity and fragmentation. With the seriousness and the vertigo of those who put themselves at stake. An agreement between enforceable rules and the interstice of vision that found in the works of Corelli a suitable soundscape in which to pay homage to the mathematical force and poetic of his music.